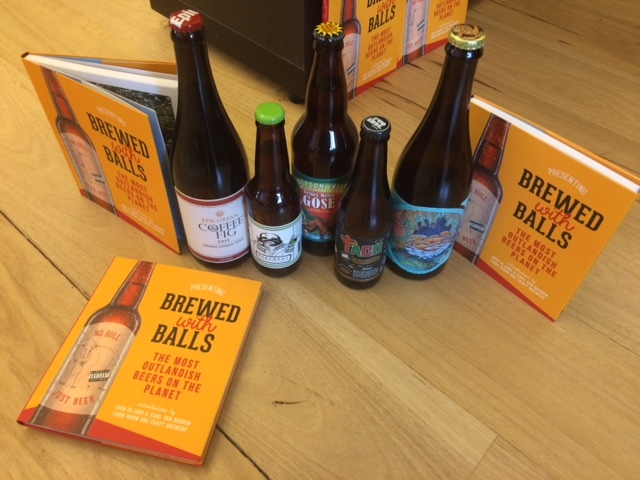 To celebrate the launch of Brewed with Balls, Affirm Press is crafting its very own ‘book beer’ and we’d love suggestions from publishing folk on what ingredients we should include. Blood, sweat and tears could become blood orange, sweated carrot and tear grass perhaps? Suggest your ingredient on social media with the hashtag #BookBrew, and the most creative suggestions will get a copy of Brewed with Balls. Follow Affirm Press so we can contact you if you’re a lucky winner. Beer lovers will be relieved to know that Moon Dog Craft Brewery, and not Martin and Keiran from Affirm Press, will actually be making the bookish beer. We’re also extending an open invite to the publishing community to come and try the Affirm Press pale ale at the Brewed with Balls launch, 1 July at Moon Dog Brewery in Abbotsford, Melbourne. Come and join us for a brew! Brewed with Balls features 65 of the weirdest, wildest and most wonderful beers on the planet, created with ingredients and brewing techniques that push the boundaries in all directions. On sale 1 July.